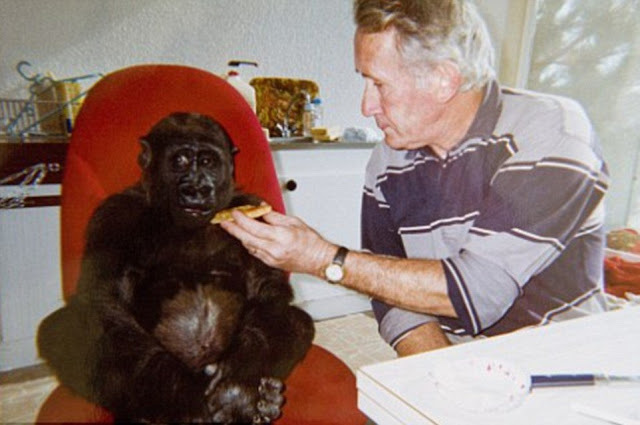 Pierre and Eliane Thivillon adopted Digit the gorilla,when she weighed just four pounds and six ounces. Digit has lived with the couple nearly all of her life.While she has learned to become more independent, the gorilla still occasionally relies on her adoptive human parents to help pick food out of her teeth or pull a splinter out of her hand, Mr Thivillion says. 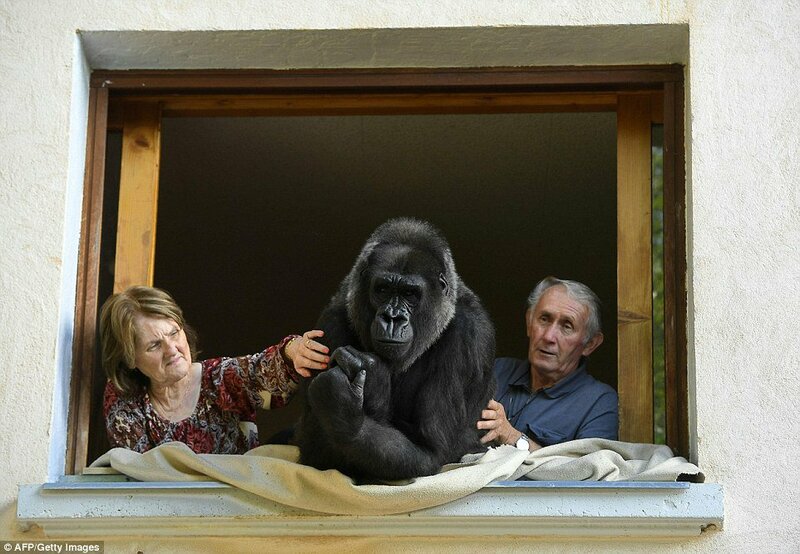 The Thivillions, who do not have children, took Digit in to their home after she was abandoned as a baby. According to Daily Mail, until she was a teenager - by which time she weighed nearly 13 stone - Digit would try to share the bed with her owners, who live in hills west of Lyon, France. They bottle-fed, raised and even house-trained Digit, who lives in his own spacious enclosure connected to the home. 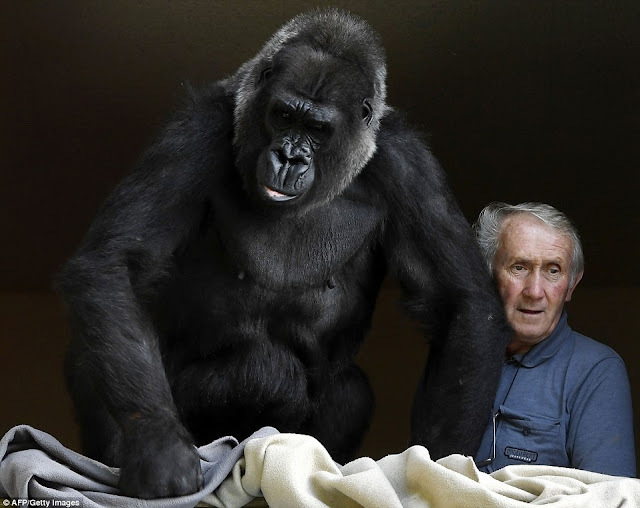 Mr Thivillion was unable to ever go for an evening out during the gorilla's childhood as she cannot be left with anyone else. Not because she is particularly dangerous, but because she gets upset when they leave. We cannot leave Digit overnight with anyone else, which means we haven’t be able to go out for 13 years,’ he said back in 2013. The Thivillions run a private zoo near their home, which acts as a sanctuary for animals rescued from poorly-run zoos and circuses. 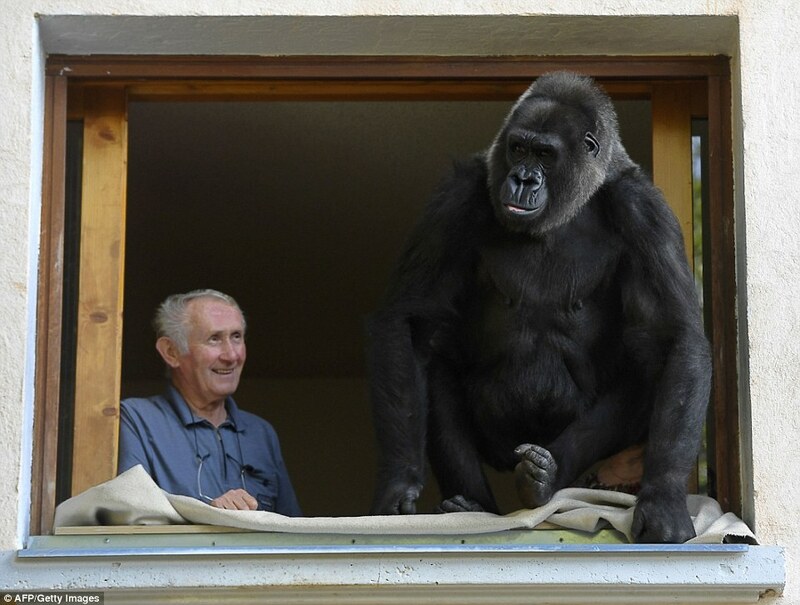 It is home to more than a thousand animals, among them monkeys, gibbons, snow leopards, tigers and lions and eight other gorillas - but Digit is more like a child to them.